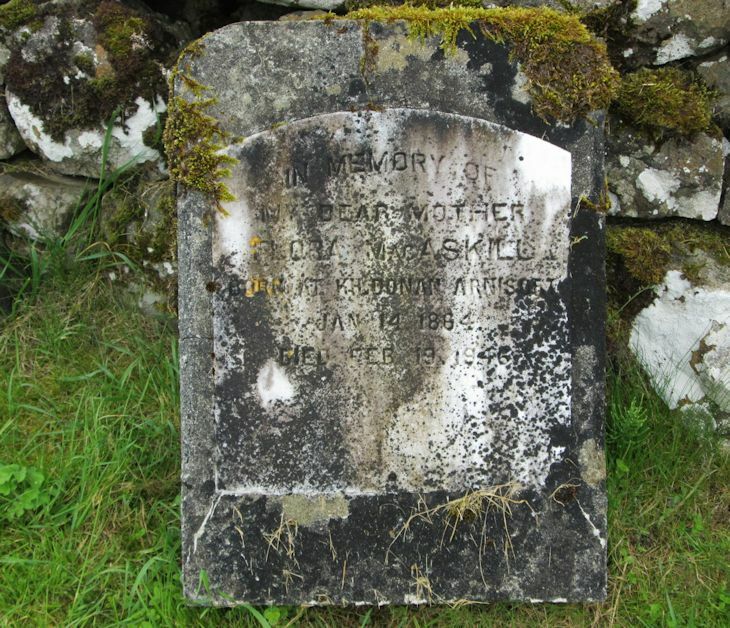 Skye Gravestones | Flora MacAskill. In memory of/my dear mother/FLORA MacASKILL/born at Kildonon Arnisort/Jan. 14 1864/died Feb. 19 1949.